"I think what survives of us is love, whether in the simple biological sense or just in terms of responding to life, making it happier, even if it's only making a joke." - Philip Larkin (Interview with John Haffenden). "What will survive of us is love." is of course the last line of Larkin's famous poem, An Arundel Tomb, which I share below. Read more about him at this link with multiple articles about Larkin and his life, via the guardian. Such plainness of the pre-baroque pre-baroque In Larkin’s pronunciation, the phrase rhymes with 'shock.' The Baroque period, exemplified by ornamentation, followed the Renaissance. 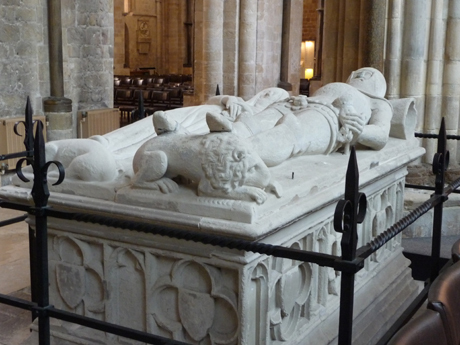 This tomb was sculpted in the Middle Ages.